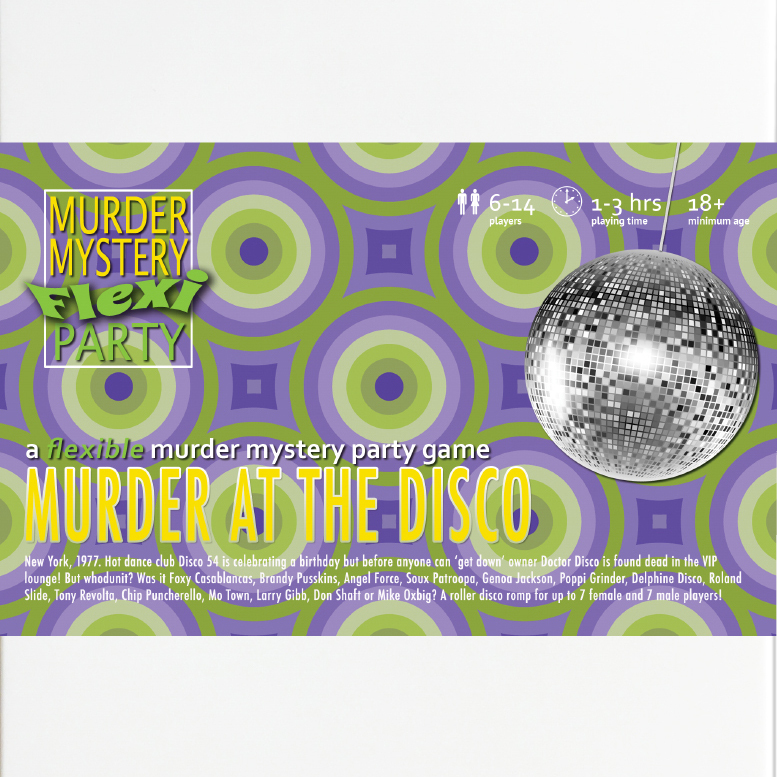 Murder at the Disco [Download] - �.99 delivered. New York, 1977. Hot nightclub Disco 54 is hosting a birthday and only the coolest people are there. But before anyone can get down on it, nightclub owner Doctor Disco is found dead in the VIP lounge! But whodunit? A roller disco romp for up to 7 female and 7 male players! + VR scene - 360� photo Try it now! Add another dimension of fun to your party! Explore the 360� image on your mobile device to find clues about suspects' secret pasts. This VR scene makes a great conversation starter and can be viewed as guests arrive, or at any time during your party - you can even share the link with your guests beforehand to build anticipation for the big night! Note: The VR scene is entirely optional and isn't required to solve the murder mystery. GUIDANCE : adult themes, frequent strong innuendo.